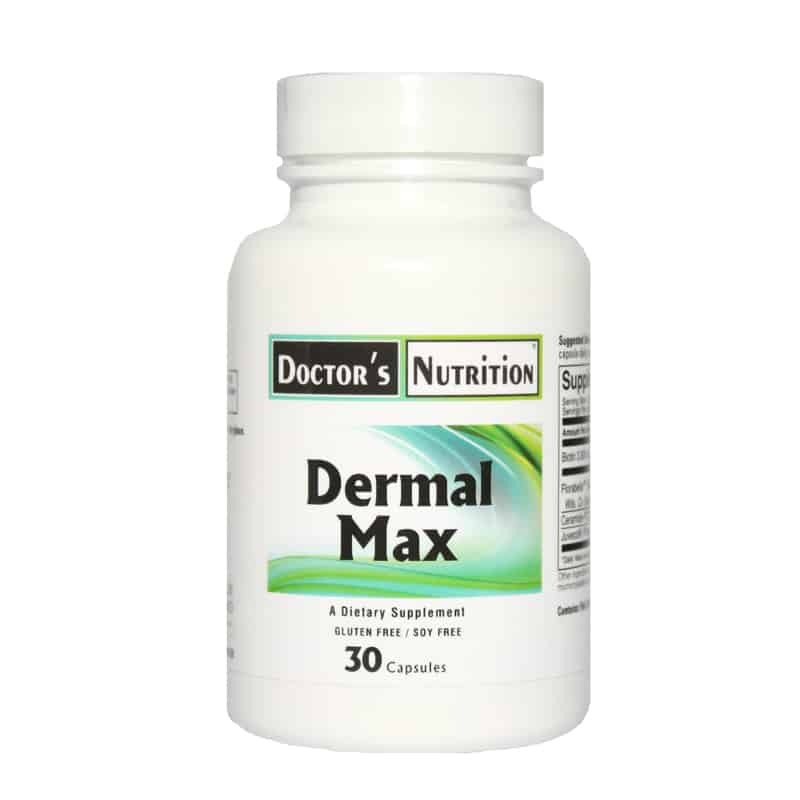 Dermal Max is a departure from the typical ‘beauty from within’ approach. This formulation does not rely on large serving sizes of collagen or an array of nutrients at lower levels in order to appear beneficial. What it does rely on is novel ingredients backed by solid science. The mechanisms of action, driven by the novel ingredients, Sakura Cherry Blossom Extract and Juvecol® Salmon Cartilage, position this formula as the new gold standard in skin formulations. It is further rounded out with clinically proven Ceramides and 3 mg of Biotin. Warning: If you have a pollen allergy, do not take this product. Juvecol® is a registered trademark. 2…. Immune. Endoc. & Metab, Agents in Med. Chem 15 (2015):160-167. Copyright© 2017. All rights reserved. No part of this publication may be reproduced, stored in a retrieval system, or transmitted, in any form or by any means, electronic, mechanical, photocopying, recording, or otherwise, without prior written permission of the copyright owner.